Currently, groundwater is the only source for domestic, agricultural and municipal water use in the Cuyama Valley groundwater basin in Santa Barbara County, California. Groundwater withdrawals, mainly to irrigate agricultural crops, have resulted in water-level declines of as much as 300 feet in the area since the 1940s. To plan for sustainable future use of the groundwater, the U.S. Geological Survey (USGS), in cooperation with the Santa Barbara County Water Agency have conducted research aimed at defining the quantity and quality of the groundwater supply, and are establishing tools to allow users to efficiently utilize the available groundwater resources. The Cuyama groundwater basin's geologic structure is composed of sub-basins and groundwater does not move freely between these different formations, or between different geologic regions within the Cuyama Valley. Because of the differences in geology, hydrology and water quality, there are unique conditions and issues for each subbasin, in addition to a need for a whole-basin understanding of the system. Water-quality and water-level monitoring data-collection networks were established in the Cuyama Valley study area. 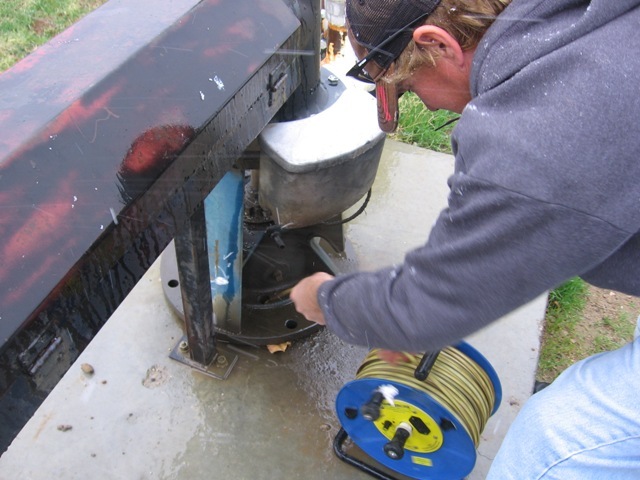 This network uses both existing wells and new multiple-well groundwater monitoring sites. 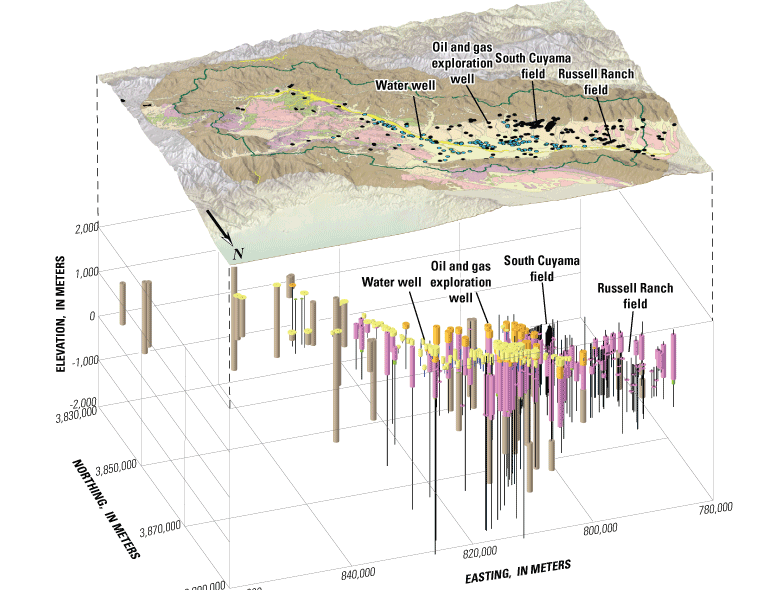 Is the Cuyama groundwater basin to subsiding? 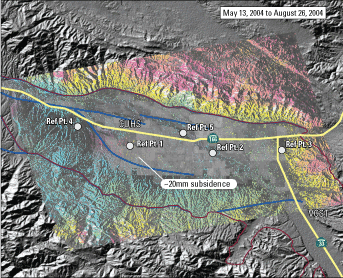 Explore how USGS scientists used continuously operating global positioning system (GPS) and interferometric synthetic aperture radar (InSAR) data to answer this question.